Anahijae Cooke: The Son Of Lenny Cooke Is Looking To Do Major Things In NC This Year!! We all have seen the constant mixtapes of pro athlete’s son’s on the court, especially as of late it seems as if the sons of LeBron James and Dwayne Wade have been dominating the Youtube & social media worlds. Back in July it seemed as if every media member that was attached to a mixtape company was in Charlotte at the USBA Nationals to see LeBron James Jr and the North Coast Blue Chip compete for a national championship. The crowds to these games were standing room only with security all over the building, however on another court with less buzz and media hype stands the son of Lenny Cooke who was the former top ranked player in the country and was a player who dominated high school basketball for years. The story of Lenny Cooke has been told on many occasions and on many outlets including in documentary form which was released years back and can still be seen today. We highly encourage readers to give the documentary a watch as it shows Cooke’s life through the summer prior to his senior year as well as his life following his decision to enter the NBA draft, play overseas and so forth. As a fan of Lenny Cooke I had the pleasure of watching him a few times at a younger age and would always come back to North Carolina from New York visits with my family to tell friends about his talent. Following his career pretty closely over the years and then watching the documentary it seemed as if the story had come to an end, however this is where things get very interesting. During my last trip to New York my brother and I went to a few tournaments on a Sunday to check out some talent in Harlem as well as the Bronx. At one of the first stops we made, we saw an event with younger high school age talent, towards the end of the game we see a young man get in transition and throw down a dunk with ease and trots back down court. My older brother turns to me and lets me know that the young man (Anahijae Cooke) is the son of Lenny Cooke and it didn’t take long to notice this as he looks just like the younger high school version of his father. Fast forward a little less than a year and Anahijae decided to come down to Carolina Basketball Academy in Elizabeth City for a year of Prep School ball to polish up his game as well as taking some college level classes. We got the chance to talk with Anahijae recently about: His high school career, being the son of Lenny Cooke, Carolina Basketball Academy and much more, so without further ado, let’s jump right into the interview. Question: You have been down here for a few weeks now , how has the transition are what are some of the differences here in NC compared to where you were last year? Anahijae: It’s different, I’ve never been away this far before for a long period of time but there is no distractions for me. I can stay focused on basketball and school work, last year I was in Atlantic City playing and my dad was coaching. We did pretty good, we were like 26-5, we had D1 football and basketball players and we had a good season making it to the State tournament. Question: When I saw you in New York last summer playing it was almost instantly that I noticed you looked just like your dad when he was younger, is that something you hear very often? Anahijae: It happens a lot, I can be on the train and people will notice me, they will ask if I know who I look like and they say my dad name or I might say yea Lenny Cooke is my dad, they all say ohh that’s crazy. It’s crazy because it comes from random people who I’ve never met in my life. Question: So getting to the documentary about your dad, have you seen it? And if so what’s your thoughts on it, you’re the baby in the movie right? Anahijae: Yea that was me with the braids, I was too young to even remember what was going on but yea I watch it a lot, it motivates me. It was weird to watch myself but now when I watch it I see myself playing the role of my dad in the movie, Just having different situations happening. Question: You see him going at Lebron and all these guys, when you all talk is that something that comes up or is it more about just life stuff? Anahijae: He talks about how he started playing, he didn’t start playing basketball until like 10th grade and its kindve the same thing happening over with me. Like playing against top players from different states, he always tells me that every time you play you have to kill because that’s what he use to do. Question: At one point in the documentary there was a decision to go away to Prep school or sit a year and enter the draft in which he decided not to go to Prep school. In your process of making a decision to come here do you feel like that decision he made, help you to make your decision? Anahijae: Yea it really did, to me your Senior year is supposed to be your best year, for like schools to start looking at you and stuff. Especially during AAU season prior to that year because you’re playing 17U and the July live period is a big time for you to get college attention. He didn’t play his senior year so I think that’s what really messed him up, if he would’ve played his senior year I think he would’ve been in the NBA. Question: So what’s your goals that you want to accomplish this season at CBA? Anahijae: Just to win and get some more offers, my dad didn’t really care if I played basketball, as long as I went to college and got a degree he would be happy. 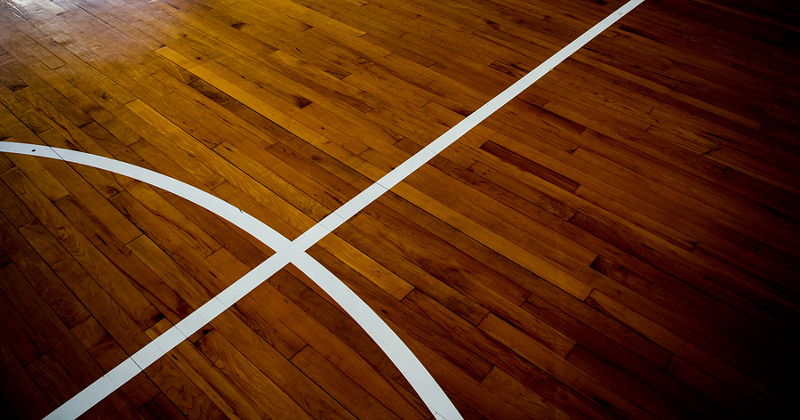 It’s my personal decision to play basketball and I want to try to help my parents out and everything. Question: We already have seen what you can bring to the table athleticism and scoring wise, what are some things you feel you can work on to get better? Anahijae: Ballhandling and getting better on defense are things I want to get better with, when I got hurt it was tough for me to play defense. Since I got here we have been running a lot, getting in top shape so I feel like I player better defense. We do a lot of ballhandling drills here too, we work out every day and its helped me develop with all aspects of my game. On the academic side of it I’m already taking college classes which gives me college credits so if I sign to a school and go to summer school then I will be a sophomore academically and a freshman on the court. The first time we got see Isaac play was years ago during a tournament on the campus of Fayetteville State University, it was a local event and Isaac was on a team with a high amount of talented 2018 and 2019 prospects. At this point in his career he was still working to get better but you could see some flashes and moments throughout the game of what could possibly become of him if he continued to work hard. Well over the years he has put in quite a bit of time and work and the results are clear as he has become a bigtime piece of the success of EE Smith High School’s basketball program. 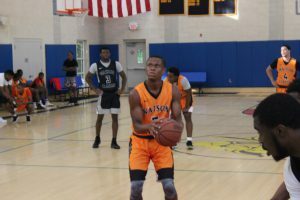 Demeanor– Many my questions if this is really a strength but when you play the Point Guard position, you have to have a poker face and Isaac has that. Through the many times I’ve seen him play, you can’t look at him and tell if he’s having an off game or not, he has his occasional moment or two of excitement when his team has it going. However overall he does a good job of stay pretty much even keel and that what you need from a floor general. Speed and Athleticism– One thing that you will notice about him as soon as you watch him play is how fast he can get up and down the floor. He’s a perfect fit for an up-tempo style of play, which is the way that many teams at the next level have decided to play the game. He has very good acceleration and is just as fast with the ball in his hands as he is without it. As far as athletic ability, he has put in the work to add to how athletic he is and it clearly shows. He’s getting up above the rim and will throw down an occasional dunk, by the time this season begins I fully expect him to get some in game dunks. He uses his athleticism to also finish through traffic and against bigger opponents when he’s attacking the basket. Defense– This may be the attribute that I appreciate the mist about this young man, he is a willing and very efficient defensive player. He has good lateral quickness and knows how to defend without fouling by using that quickness as well as his quick hands. One way that you can see how productive he was, is by looking at his defensive stats from last season. He was a leader in the state in steals at 2.8 a night, nearly 3 steals a game. Character– Isaac is one of the nicest and respectful kids that you will meet, he takes care of business in the classroom with a GPA of 3.7. We fully expect his transition to the college level in the classroom to be even easier than the transition in the classroom due to how good of a student he is. Last but not least, he allows himself to be coached, he listen and does what he’s told, definitely the type of player that you love to have on your squad. Off Hand- At this point he has the ability to go to his left but is not as strong with his left hand as he is with his right. For guards at the next level, the ability to attack with both hands is very important, consistent time working on his offhand will help with his. Being Vocal- The job of the PG is to be a coach on the court, as of now Isaac is more of the type of player that leads by actions but will need to be more vocal on the court. Doing things like constantly talking to teammates about where they should be, communicating with the coach constantly, and providing verbal encouragement to the squad. Strength- Adding some more muscle to his body will be key for him, guards at the next level tend to take quite a bit of contact on and off the ball. He’s somewhat slim, but with time and either weights or calisthenics he can add the muscle to his frame. Our first opportunity to see Adrian came during the spring when we saw him at a local NTBA tournament, he impressed us quite a bit and we had the privilege of seeing him this summer as well. He’s an under the radar prospect at this point but we fully expect him to have a big time season at Pine Forest HS and to pick up some college interest. Scoring– He truly has a gift for scoring the ball at a very high rate, he knocks down shots from three point land at a decent rate and is automatic from midrange. Where he really impresses at is his ability to score the ball at a high rate even when he’s having an off shooting night. He isn’t scared to go inside against bigs and draw contact to get the line or even finish thru the contact. When he gets to the line he’s pretty efficient knocking down free throws even when it’s in clutch situations. Speed and Quickness- Quick guards are what the coaches at the next level truly love, and he is that without a doubt. He excels when his team is playing in transition and has a quick first step that he uses to blow by defenders. Although he enjoys playing fast, he doesn’t turn the ball over at a very high rate and normally seems to be in control. Confidence- Adrian is one of the more confident players in the area, no matter what is going on he never loses faith in his ability to get the job done. As a coach, you love to have a player like this on your team, he doesn’t care what anybody else thinks because he believes he can get the job done against anybody. Durability- As with all small guards, the question of his durability and being able to stay on the court while avoiding injuries will always come up. He missed some time during June and July due to injury but has bounced back very well in the past month since he got cleared. Consistency with off Hand- He can go to his left at this time but we wouldn’t necessarily say he can go to his left as good as he can with his right. Continued time working on his left hand is the key, as a smaller guard he will need to be dangerous with both hands. Rebounding- He was one of the leading rebounders in the state for a reason, (14 Rebounds Per game) although he’s only 6’5 he has a gift for rebounding the ball. He does a good job of finding a man to box out as soon as the shot goes up and goes after each loose ball, he brings the attitude that each rebound belongs to him and it shows. 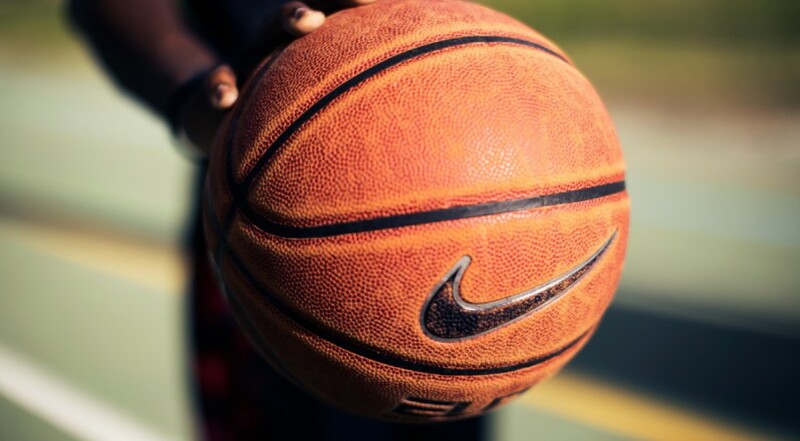 They say rebounding is about desire and although many youngsters don’t see rebounding as an important attribute to have, it can be the difference in wins and losses. Playmaking from the high post– Although he can score the ball inside at a very nice rate he also has the skills to make plays from the elbow/high post areas. He’s an unselfish player with a gift for passing the ball and can knock down the jump shot from those areas with consistency. His IQ for the game allows him to make the correct and winning plays for his squad, which brings us to the next attribute that we like about his game. Unselfish/Good Teammate- Of all the players I’ve got the chance to watch, he is one of the most unselfish players I’ve seen. He doesn’t care about his personal stats but instead wants to do what’s best for the team and whatever it takes for them to win. As well as his unselfishness you have to notice his coachability, no matter what his coach has to say he listens well and makes the proper adjustments. 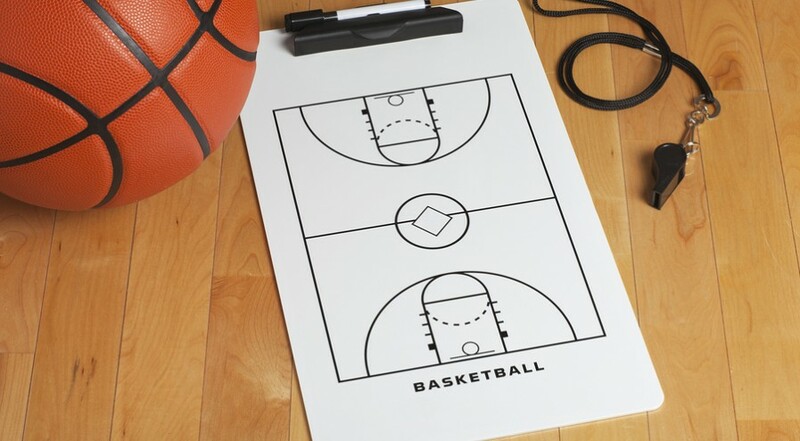 Finishing- Another strength that you have to like about his game is that he can finish plays, if a guard gives him the ball in the paint, he probably will score or either earn a trip to the line. He can make plays above the rim offensively as well as defensively which allows him to stay productive regardless of how much taller his opponent is. Ballhandling- He’s a solid ballhandler at this point but we would love to see him to continue to improve in that area so that he can spend more time on the perimeter at the next level. His footwork isn’t bad at all so his adjustment to spending some more time on the wing should not be too much of a problem. 3 Point Shooting: At times we have seen him shoot the trey ball and knock it down, but due to the position he plays in high school we don’t get to see it as often. However he must continue to work on keeping his perimeter shooting up at a high rate as he will be most likely called on to score the ball from deep in college. Aggressiveness- He’s a player that we almost would call too unselfish, he’s such a good teammate that if he doesn’t get touches on a few plays in a row, he still won’t complain. However when he is constantly aggressive he is a very dangerous player that can make plays for himself and others. Height is one of strong attributes , although he doesn’t tower over opponents, E.J is a player that has solid size for the guard position, at 6’0 with a decent wingspan he can cause some deflections and make things difficult for smaller guards. Offensively he doesn’t have to deal with height differential issues too often so his height is definitely a positive. Honestly I wouldn’t be surprised to see this youngster grow an extra inch or two before it all said and done. Scoring the ball is another attribute that he has that impressed me, as of now I would define him as a slashing type of guard. When he gets hot from three point land, he can knock down a good amount of trey balls but where he has been the most impressive is attacking and finishing around the basket. He has the ability to finish in traffic as well as around and under out stretched arms of opposing big men, so basically we could define him as a crafty slashing scorer. Coachability is another strong suit for this young man, no matter what is going on he doesn’t snap back at coaches or teammates, he takes suggestions and applies them. Also we must acknowledge his work ethic, he puts in a good amount of time in the gym working on his craft and simply trying to get better each and every day. Overall he’s just a nice kid who is very respectful each time you see him and seems to be a guy that will be beneficial to a squad with team unity. His body still needs more muscle added to it to be able to embrace the contact at the next level, he’s young and still has time to add weight so it’s no need to worry. However there were some occasions where he was unable to finish a play in the paint due to contact from a larger/stronger opponent. Knocking down the trey ball with consistency is another area we feel he can improve, as of now he would defined as a ‘‘streaky shooter’’ but with the amount of time he puts in the gym we are sure that his shot consistency will improve. Ball handling is the final area that I would love to see him focus in on, he’s not a bad ball handler but he tends to dribble soft and high at times instead of dribbling harder and lower to the ground. At the high school level it does not cause major issues but at the college level it would lead to turnovers. Plain and simply put Deumbre has one of the highest motors that I have seen from a youngster in years, he plays the game with a chip on his shoulder and will go at anyone regardless of height. There have been countless times that I’ve watched him and seen him : dive on the floor force loose ball, force tie up just by his hustle, chase down opponents for blocked shots and taking charges. No matter what you can know one thing for sure about this young man, he’s going to play his heart out and the fans will love him for it. At this point he’s somewhat of an undersized forward, he spends a lot of time inside the paint and at 6’2 you would figure that would make him a mismatch for opposition. This is far from the case as he plays much bigger than his height suggest, he uses his athletic ability and strength to outwork much bigger players inside for rebounds and put backs. In the end this all helps to be a more versatile player for his squad as he can play the Wing position or inside on the block or at the high post. On defense he guard just about every position on the floor, he has the lateral quickness to defend guard and the grittiness to bang inside with bigs. Over the last year or so he has improved scoring the ball as well, he’s knocking down the outside shot with more regularity which causes the big men that are guarding him to have to come out on the perimeter. He finishes well inside the paint even though he’s shorter than most players, and he has an outstanding ability to finish thru all types of contact inside. As stated earlier he’s somewhat undersized for a college level forward and most levels, so perfecting his guard skills is the key. He already has improved his shot so the next step for him is to perfect his ball handling skills and understanding the proper reads out of pick and roll situations. Playing honest defense is another attribute that I feel he can improve, he has outstanding lateral quickness and is athletic so there is no need for him to reach for steals or swat at the ball for blocks. All those habits can lead to foul trouble at the next level as the game is called much more closely and less physical contact is allowed. Lastly he must remember to stay locked in when the game is going on, he plays the game hard and the fans always love so it’s easy to get distracted even when the game is going on. If he stays locked in and focused on the task at hand he’s a huge factor for his team on a nightly basis. He’s known for his ability to score the ball, especially shooting, throughout the high school season and even into the AAU season he had bigtime scoring number knocking down a high amount of trey balls. His release on his shot is pretty quick and he has a good idea of what a good shot vs a bad shot is, which leads to him have a nice shooting IQ. His range on his shot is impressive as he can knock down shots from near NBA range and once he gets hot from deep it can be a long night for the opposition. 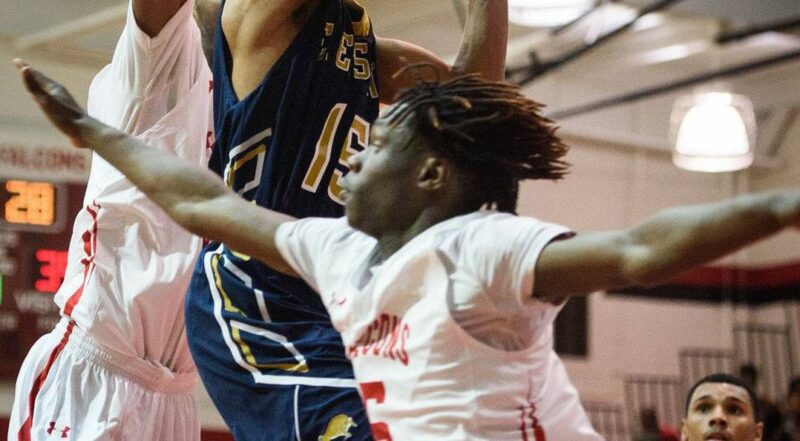 Athletically he has the ability to finish above the rim offensively and make plays protecting the rim defensively. He may not be a player that ‘‘jumps out the gym’’ but when you combine the athleticism that he has with his height and length, it gets the job done. Which brings us to our next attribute which is his size and wingspan, at 6’3 with a nice wingspan, he fits the mold of a college guard at the D2 level without a doubt. If he grows some more and hits about 6’5 then that could be a level change for him prospect wise. With the combination of his height and length he has the ability to guard the PG and SG spot and some situations even slide over and guard and undersized SF. He does a good job of rebounding the ball as a guard and getting it out into transition or to the PG to get things going for his squad. The final attribute that we love about this young man is his character, he’s a great kid that is very coachable and handles his business on and off the court. He’s very respectful and is a player that a university will benefit having on campus not only on the court but in the classroom and in the community. At this point he is a player that we would consider a very good shooter, the next step for him to become a higher level shooter is more shot consistency. He’s had game where he’s knocked down 10 treys and others just 2, the key for him will be to shoot with the exact same form each time and staying confident in his shot. At his height for the next level he is decent size for a SG but it is highly likely that he will spend some time playing the PG spot. He has decent ball handling skills at this point but goes to his right much more than he does to his left which will need to be balance out more as the competition level gets higher. Some more time focused in on perfecting his ball handling skills will only make him that much more of a dangerous player. Lastly is adding muscle to his frame, right now he’s somewhat slender for a college prospect and will need to add muscle to be able to absorb the contact at the next level. Consistent time in the weight room can help him with this as well as pushup and other natural muscle building activities, he doesn’t necessarily need a ton of muscle mass but adding lean muscle would be beneficial. 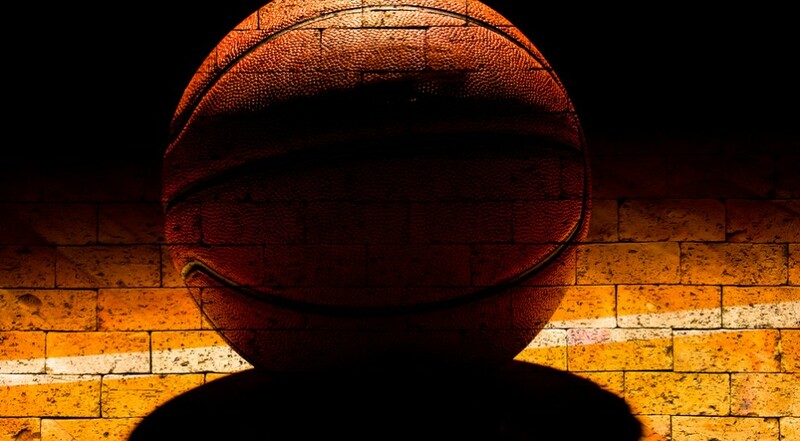 These days in the high school basketball world, there are certain players that are highly publicized and people already know about prior to their senior year of high school basketball. They have coaches like Roy Williams and Coach K sitting sidelines throughout the summer watching them as well as ESPN guys who checked them out having them ranked in the Top players in the country in their respective class. The media flocks to these guys normally and getting an interview with some of these players is just about as hard as getting an interview with certain NBA players. However there is another group of players, who don’t have a ranking, may not be watched by the biggest schools during the summer and their following is limited to the local fans in their city. Over years as a scout I’ve seen this numerous times, the unknown player that many has overlooked gets his chance to finally shine and now folks know his name. Well this past year we had a few young men that had this happen to them, the first that will be highlighted is Isaiah Washington from St. Raymond’s HS in New York, also known as ‘‘Jelly fam Dimes’’. In the NY area he was a very well-known young man, at just about every park he plays at fans stand on the sideline and rush the court when he does one of his signature finger roll layups. However many people outside of the NJ/NY area had no idea who this young man was, I can tell you first hand living in North Carolina people looked at me like I was strange when I mentioned his name to them. Well this summer he changed that for sure starting with impressive performances during AAU season on the Under Armour circuit and during the NBAPA Top 100 Camp where he was second in the camp in assist per game at 4.7. Follow that up with a very good showing at the CP3 Elite camp where NBA players, College player and some of the top high school prospects all went at it. 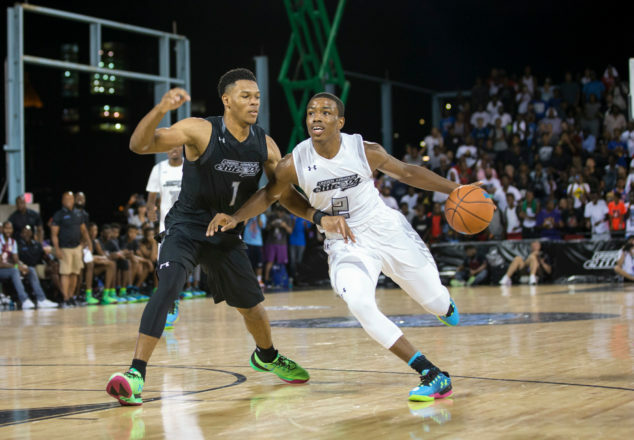 Those performances alone sound like an impressive summer but Isaiah saved the best for last when he returned to NY for the Under Armour Elite 24 Game, which was a game that was not even originally selected to be in. Once the game began you could hear the fans getting excited every time he touched the ball, although the first few shots didn’t drop we already knew it was just a matter of time before he got going. In the 2nd half and in overtime Isaiah put on absolute show going right at Trevon Duval who many have as the #1 PG in the country right now. Isaiah would go on to finish with a game high 36 points and MVP honors with a ton of plays that made fans get out of their seats in NY and even across the country in California. Now that he has verbally committed to Minnesota the whole recruitment process grind is behind him and we are expecting his senior season to be special and full of: Points, Assist, wins and ‘‘Jelly”. Team Of The Year: Village Christian Academy & Coach Darden, Congrats on the state Chip and the stellar play throughout the entire season!!!! 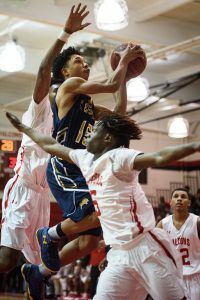 A.J Baldwin (Cape Fear HS, Point Guard, Junior)- True PG that is somewhat under the radar at this point, Voted as Player Of The Year, led Cape Fear HS to a conference Championship while leading public schools in scoring and Assist per game. Averaged 18.2 Points, 4.6 Assist, and 5.4 Rebs, Mid Major/Low Major Prospect. 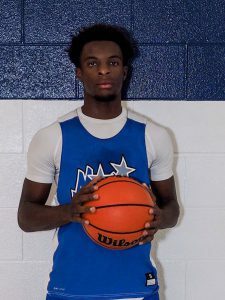 Damani Applewhite (Westover HS, Forward, Senior)- One of the more skilled players in the area, finished the season averaging 15.6 Points and 7.4 Rebounds per game, currently holds offers from Elizabeth City, Catawba and SC State. Also was selected to play in the NC vs SC game as well as the NC East vs West game. Jordan Ratliffe (Village Christian, Guard, Junior)-Had one of the best poster dunks of the year, very gifted scorer an athlete and one of the best shooters in the area. Has a very strong frame and has a strong desire to win. Finished the season averaging 18.3 points and 6.9 Rebounds per game, has multiple D2 offers and is receiving interest from Division one programs as well such as Liberty and Radford. Tyler Thomas (71st HS, Guard, Senior)- Very quick guard that can flat out shoot it, finished the season averaging 17 points per game , was second in public schools for 3 point field goals made with 59 on the season. Still unsigned at this point and will be a good pickup for a program that needs a shooter with good speed and defense. 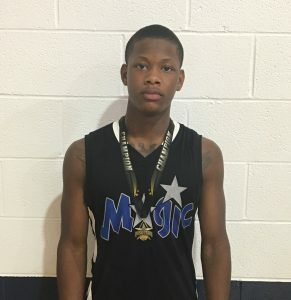 Isaiah Stallings (Terry Sanford, Forward, Senior) – Played a huge role for Terry Sanford throughout the season, has a nice IQ for the game, can score the ball inside and outside. Averaged 12.5 points and 7.1 rebounds per game. Although he is was outstanding on the basketball court he will be headed to NC State on a football scholarship. Jon Gauer (Fayetteville Academy, Guard, Junior) – Very athletic player that showed flashes of how good he can be throughout the season, putting together multiple 30+ point games. Averaged 22 Points, 3 Rebounds and 2 steals per game, receiving interest from numerous Ivy League schools at this point. Adrian Norwood (Westover, Forward/Center, Senior) – Talented player and an outstanding student, Led all Public schools in rebounds per game with 9.5 a night while scoring 11.3 points per game. Can play inside but also can step out shoot it, is a player that will continue to improve over the years, committed to play at Fayetteville State University. Justin King (Terry Sanford HS, Guard, Senior)- Easily one of the most underrated players in the area and possibly even in the state, can knock down the outside shot but has nice athleticism as well that he uses to finish around and above the rim. Very unselfish player that makes the correct play at the correct time for his team to win, Averaged 10.7 points and 3.2 Assist per game, was hearing from numerous D3 programs and D2 Jucos at the end of the season. 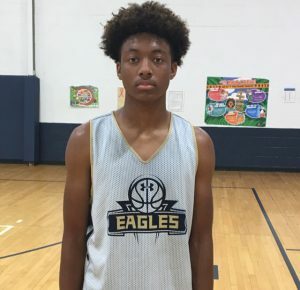 Todd Smith (Freedom Christian, Guard, Junior)- Spent his first year playing the PG spot full time for Freedom Christian and got better as the year went along, can shoot it from outside and has nice athleticism as well. Finished the season averaging 12 points, 6 Assist and 4 Rebounds per game, Receiving interest from numerous Division one programs such as Lipscomb, ECU and others. 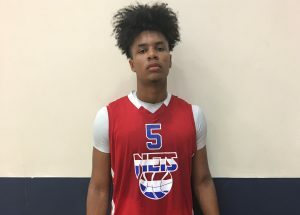 D’Angelo Brown (New Life Christian, Guard, Senior) – Player that not many people knew about prior to the season starting, has outstanding athleticism and quickness as well as good defensive ability. Went on to average 16 points and 6 rebounds per game while being named to the NACA National Tournament All-Tournament team, still unsigned at this point but is receiving interest from JUCO schools. Milos Supicia (Freedom Christian, Forward, Junior)- College coaches should put this young man’s name in their phones ASAP, he has yet to even come close to reaching the potential of how good he can be while still putting together a good overall season with some impressive games. Finished the season averaging 14 Points, 11 rebounds, 3 assist and 1.5 blocks per game, receiving interest from numerous D1 schools. 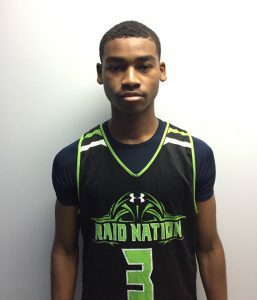 Nassyr Daniels (Village Christian, Forward, Junior) – Has the tools and potential to be good, attended both fall and Spring East NC Fab 40 Camps and performed well in each camp. Does a good job with keeping the ball high, and runs the floor well with the guards to finish plays. Also is getting better with being aggressive to attack the rim, will be one to keep an eye on over the summer and into his Senior Year. 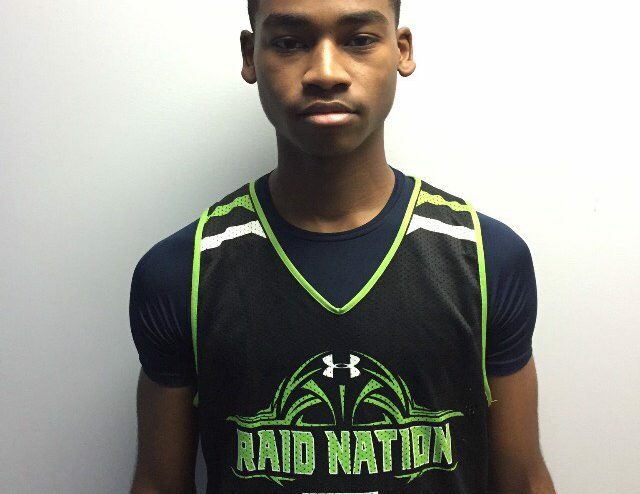 Talton Jones (EE Smith, Guard, freshman)- One of the top young true Point Guards in the area and is a very gifted passer, has a long wingspan and is improving with his jump shot. Is one to keep a close eye on and his body continues to develop , averaged 9.8 Points and was second in public schools Assist with 4.1 a game. Josh Haymer (Village, Guard, Junior)- The type of player that you want on your team when you are going to battle every single night, he may not fill a stat sheet up but makes the right plays consistently on a nightly basis. Was also one of the better perimeter defenders in the area and took on the task of guarding the best offensive for whoever they played against. Tete Armel (Northwood Temple, Forward, Senior) – After watching this young man develop for the past years, it was truly a pleasure to see him show what he can really be. Had multiple games throughout the season where he would come up with double digits rebounds and points with a good amount of blocks. Finished the season averaging 9 Points and 9 Rebounds, signed with Presbyterian.